WE ARE LOOKING FOR US & AUS CAMPAIGN? LOOKING FOR FOREX/BINARY. CAN YOU HELP? If you could help, please contact me. We have over 2.6 Million opted in consumers who are telephone responsive as they have completed a consumer questionnaire over the last 36 months. Datablazers offers telephone lead generation services that can be tailored to your specific business needs. We provide highly-targeted, top quality leads in any vertical you require. 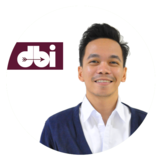 Currently, DBI has over 80 satisfied clients in the UK, the USA, and in other countries worldwide. Our services have helped them expand their businesses and customers around the globe. If you are currently running a UK marketing questionnaire campaign, contact us, talk to us and partner with us to increase your REVENUE per HOUR! Please Email us at outsourcing@datablazersph.com, add us on Skype at dear_piper or call 0203 129 8258 and look for Piper. Buy Direct from the Source! FRESH UK CONSUMER QUESTIONNAIRE LEADS, Available Now! All Leads are Generated by Our Call Center Partners and Delivered Daily.